This is not a drill! Everything is on the line. 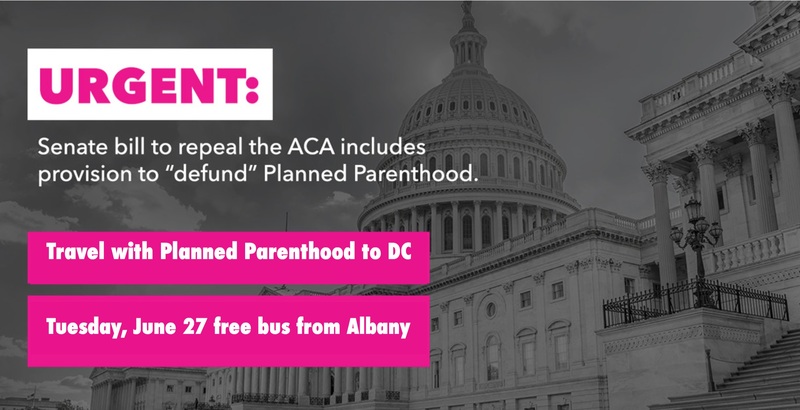 The Senate GOP just released their devastating health care bill, which attacks and defunds Planned Parenthood. This cruel and heartless piece of legislation seeks to deny millions of Americans access to vital health care. All hands on deck – the fight is NOW! Behind closed doors, a handful of Republican men have created the worst healthcare bill for women in a generation. The Senate expects to vote next week. WE MUST MAKE THEM SEE PINK. 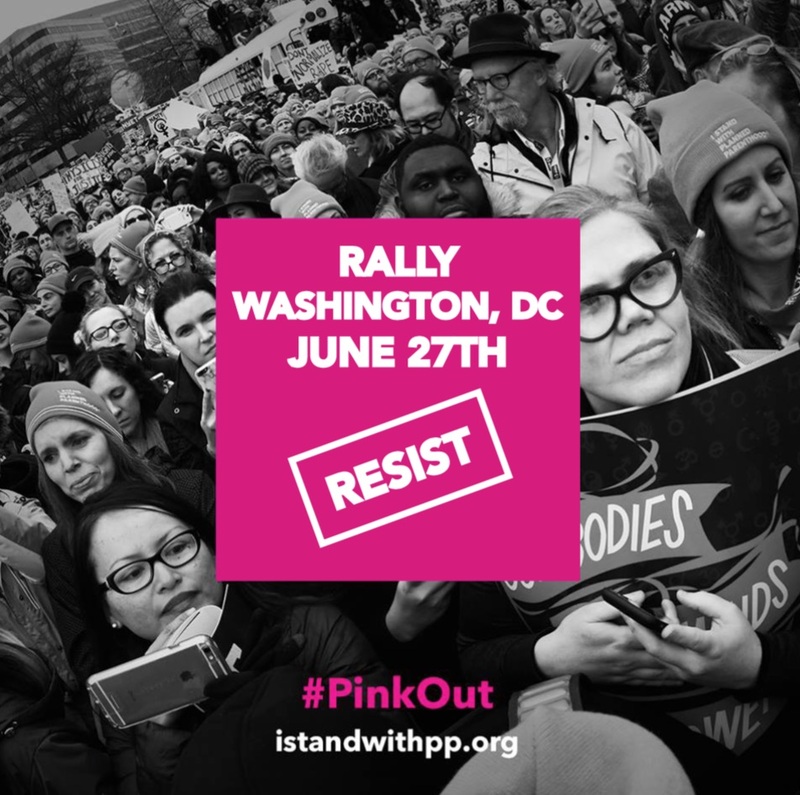 New Yorkers from across the state will travel to DC on Tuesday, June 27th to take action around the Capitol. Join us! It is up to us to stop the defund! Register NOW to secure your place in the fight – Registration is REQUIRED! The bus is FREE and a box lunch and light snacks will be provided. Two buses will be leaving from Crossgates Mall in Albany at 4:00 AM. Please make sure to arrive at Crossgates by 3:45 at the latest so we can ensure everyone is checked in. Buses will be stopping in Kingston and Poughkeepsie to pick up additional activists. You will receive additional information on logistics once you register. March with Democrats this Saturday! Saturday, June 17, 1:30 p.m.
Meet at the south edge of 7th St Park, on Warren Street between 7th Street and Park Place--look for the CCDC banner.The parade steps off at 2 pm.